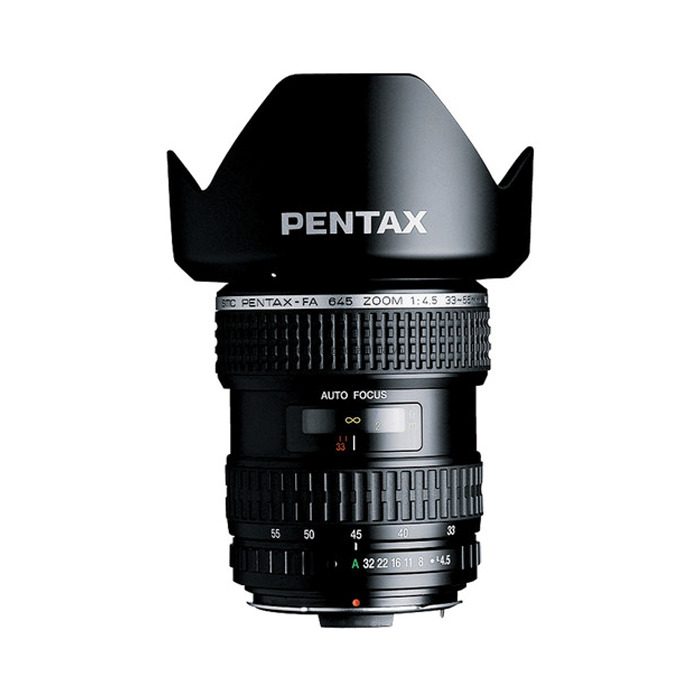 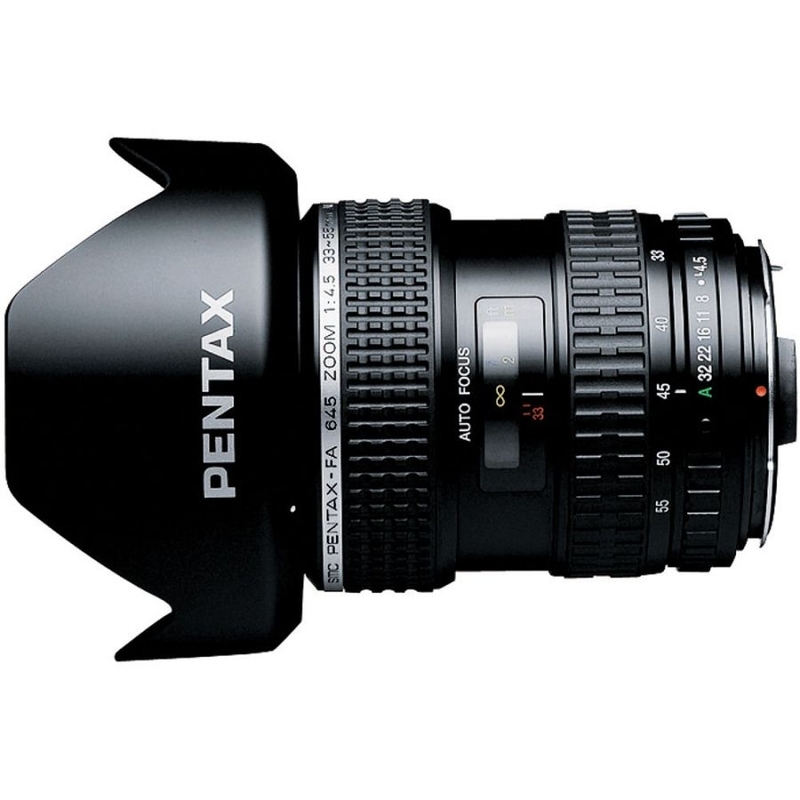 The Pentax smc FA 645 33-55mm f/4.5 AL Lens is a wide-angle zoom lens designed for use with medium format Pentax 645 mount cameras. 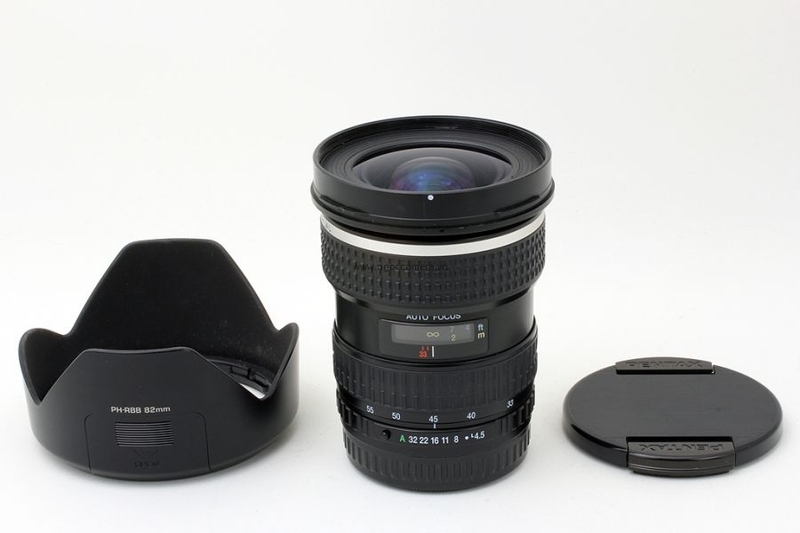 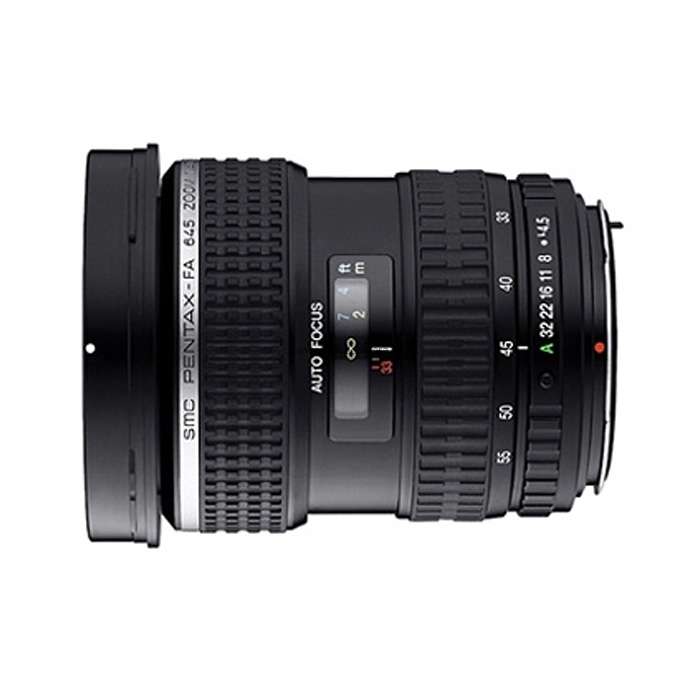 It features an aperture range of f/4.5-32 and has a 35mm equivalent focal length of 26-43.5mm, providing a very useful range of wide-angle lengths. 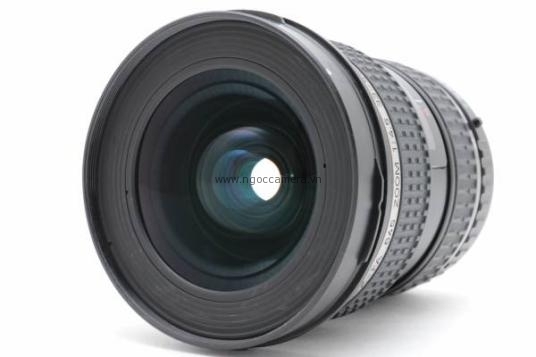 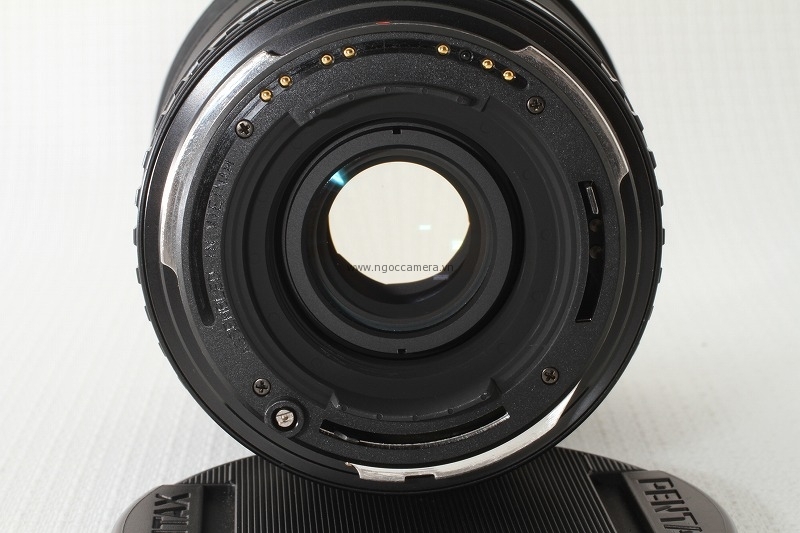 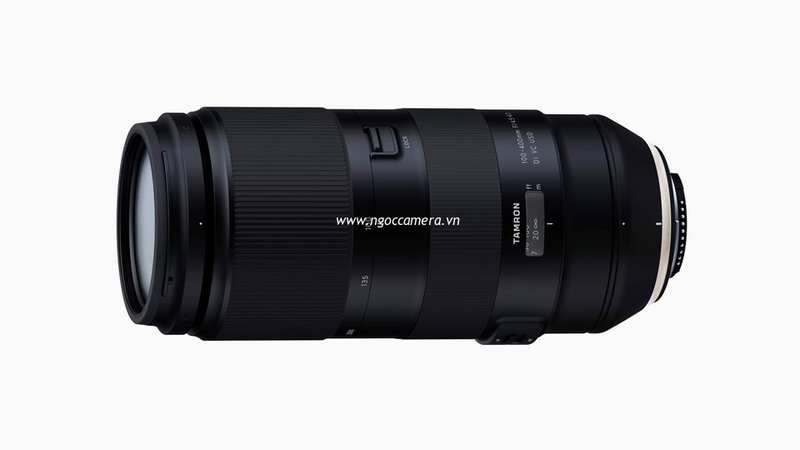 This lens in particular utilizes two aspherical elements that greatly reduce distortion, field curvature, and coma aberrations common with wide angle lenses.